The reigning Sprint Cup champion team didn't need luck in Las Vegas; they had a freaky fast dominant car. 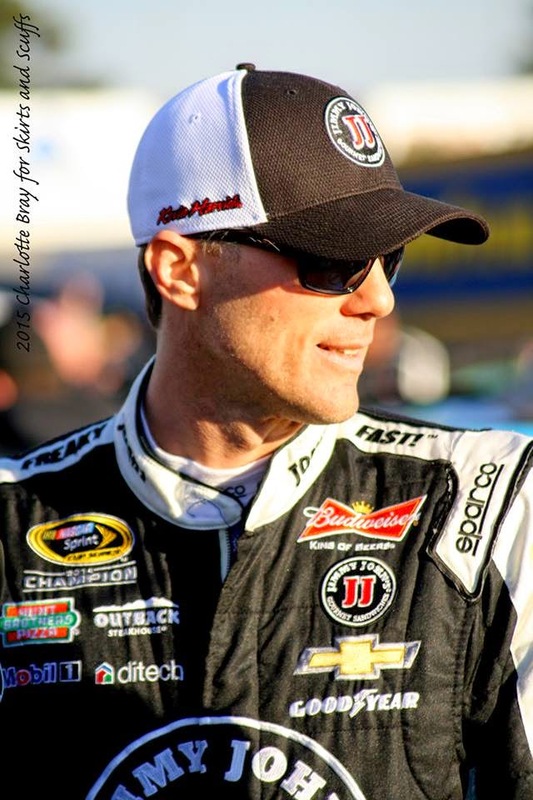 Kevin Harvick, driver of the No. 4 Jimmy John's/Budweiser Chevrolet, sealed the team's place in the Chase and their opportunity to defend their title with a win, after leading a race-high 142 laps. The 1.5-mile speedway was on the team's bucket list, especially after their dismal finish in the desert in 2014. Rodney Childers, crew chief for Kevin Harvick, said that not winning that race has weighed on him for 12 months. "... all those races, whether it was Vegas or whether it was Bristol... when you get into that off-season is when you start thinking about that stuff a lot. It's like, 'All right, what have we got to do better as a race team, what racetracks do we need to focus on, what cars do we need to work on,' so on and so forth. "You've got to have a list of what you're working on or you're never going to get anywhere, or you've got to have some goals at least," he said. "All those places that we had mechanical failures or problems, or I caught a bad race, whether it's the first Michigan race, we had the best car all weekend and gave it away. All that stuff you've got to do better, and all because you finish second, you can't be happy with that. You've got to keep working hard and try to keep making your race team better. "Just dwelling on that for 12 months and thinking about everything that you needed to do better and how much this race and all would mean to him, we just put a lot of effort into it. Excited to be up here and to have people like Gene [Haas] that support us 100 percent and give us everything that we need. Like I said, it's just a lot of fun to be able to come to the racetrack, and when you've got that going on, it's half the battle." Childers and the rest of the No. 4 team have put in that effort. The win in Vegas was the sixth consecutive first- or second-place finish for the team since last year's Chase. "These guys are so close right now, and you've got so many really good teams. The biggest thing was just trying to work hard over the winter. One thing that scared me a little bit is we worked really hard trying to build the team and get things going, going into 2014, and after winning that championship and spending all that time out here in Vegas, by the time we got done with the banquet and everything, I felt like we were already behind. There were guys at their shops working really hard, thinking that we've got to improve our stuff, and we've got to go out there and be better. "So really when we got back, we just went to work and tried to start preparing the best cars that we could. We ended up having to cut bodies off of seven -- I think seven race cars and go down to a bare chassis and start over again and just try to keep making ourselves better and better." As well as the No. 4 team at Stewart-Haas Racing has been running, the other teams in the stable haven't enjoyed similar success. "We've actually worked really hard on that stuff over the off-season. We changed a lot of things around in the shop and made it to where there's only two shop foremen, the 14 and us have the same shop foreman. We've built the cars the same, the same parts, pieces, and really all the teams are doing the same deal now. "We want all four teams to finish one, two, three, four. That's the goal of the company. I think we've been fortunate as a team. We found some stuff that worked for us and worked for Kevin at the beginning of the year last year, and we've just been able to carry that through. "We don't have to go back to the shop and reinvent anything. We just keep making small details better and better and better. "Hopefully we can get all that stuff going better for the other guys and get all four up there in the top five." The Harvick-Childers combination is a tough one to beat on a regular basis, but Childers is quick to commend everyone in the shop. "Everybody is just clicking. You've seen that over the years of a group of people that get going and click week in and week out, and it's fun to come to the racetrack. When everybody is having fun, it doesn't seem like a job, and you just end up working that much harder. 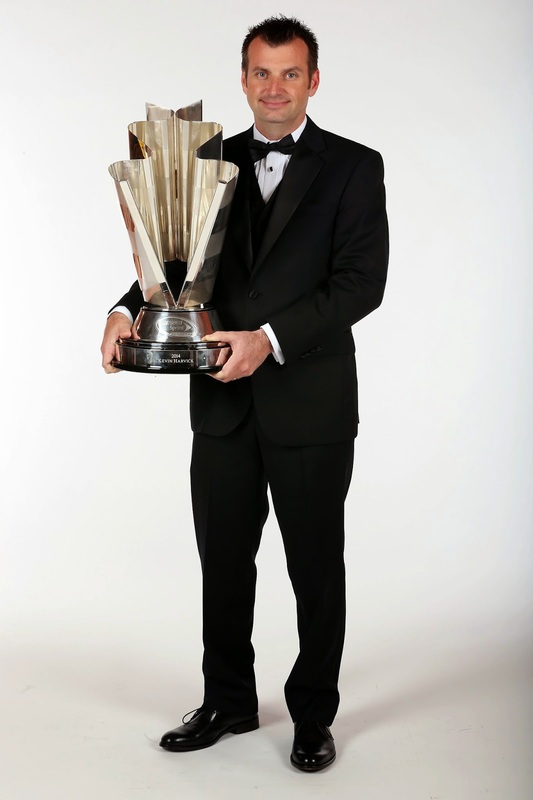 "It really comes down to everybody at the shop and our road crew and the guys at the Hendrick engine and chassis shop. Everybody is just doing a really good job right now bringing good cars to the racetrack, and really just our road crew in general and the communication with Kevin and everything has just been really, really good lately."